Hempel is a world-leading supplier of protective coatings to the decorative, protective, marine, container and yacht markets. 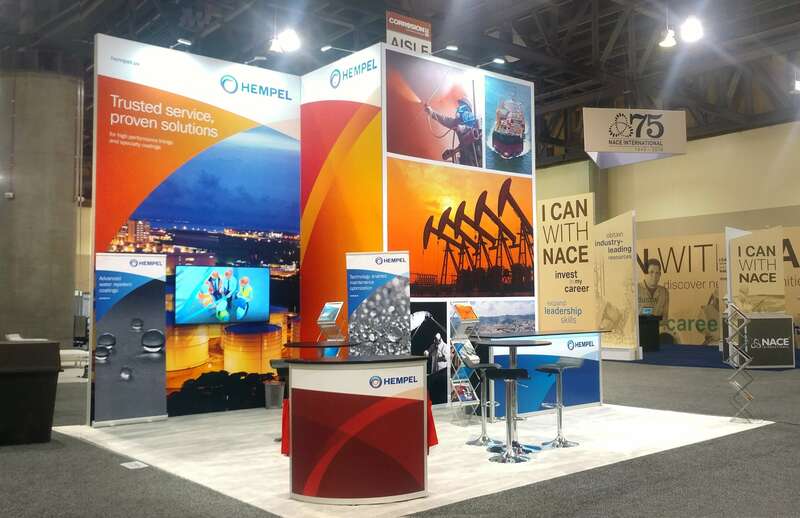 Hempel exhibits at SSPC and NACE every year where they have a 20 x 20 booth. Hempel was ready for a change from their current exhibit provider. When Hempel approached Exhibit Network, they were looking for a lighter-weight exhibit, seamless graphics, lower costs, and peace of mind.